Connection (youtube link) is an ancient song by the Rolling Stones, from their Between the Buttons album. I’d be surprised if anyone knows it. I’m surprised that I made the connection. It does bring up a number of connection though. 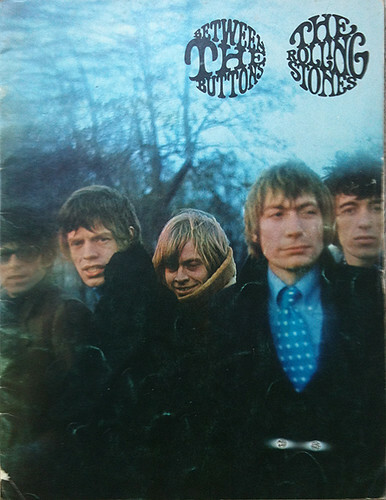 Like the record in my previous post, I bought Between the Buttons at the House of Guitars, which was featured in Norm’s post a few days ago. 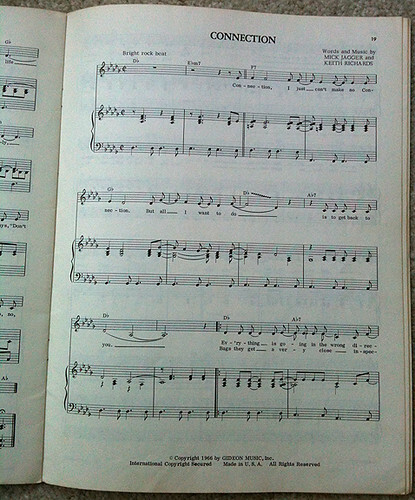 I’m not sure how I acquired this songbook. It’s written for easy piano, and while I don’t play piano, I do have one. I inherited it from my mother, who got it from my grandfather, whose birthday was on today’s holiday, Memorial Day, 116 years ago. 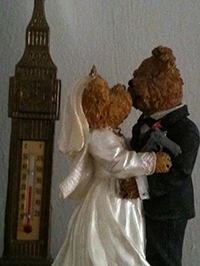 This entry was posted in Uncategorized and tagged ds106. Bookmark the permalink.